Your No. 1 choice for Children’s parties in the Banbury area! We give your child a fantastic party to remember. We specialise in childrens entertainment with dancing, games, craft, balloon modelling, facepainting, makeover and fashion parties and much more. Themes include frozen party, superhero party, fairy party, street dance party, princess party, pop star party, pirate party, craft party and much more – we even do hen parties too! This is just a selection of our parties so let us know your ideas! 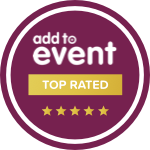 Our website offers guidelines to what is available but we will tailor your party to your needs so please do call us for a chat! Our entertainers are CRB checked and have public liability insurance. Thank you so much for everything you did today. The children really enjoyed it and the parents thought you were great too. It just went by so quickly and it was lovely for us to be able to concentrate on our guests and the food while you entertained the children. For more reviews please see our Testimonials page or our Facebook page! We are based in Banbury Oxfordshire but typically travel a 20 mile radius from this location including Stratford-upon Avon, Leamington Spa, Brackley, Deddington, Chipping Norton, Buckingham and some Oxford locations.